SafePath’s EZCurb™ Wheelchair Ramps are designed to provide ramped access and vertical barrier removal where there is a single path-of-travel requirement. 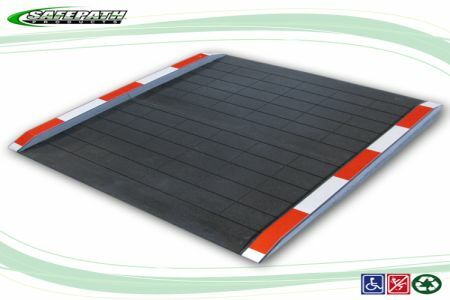 The EZCurb™ Wheelchair Ramps can be used in commercial environments or for private residential use where there is no door swing interference with the side curbs that come standard with this product. 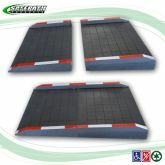 Side curbs are designed to prevent wheels from going off the side of the ramp surface.